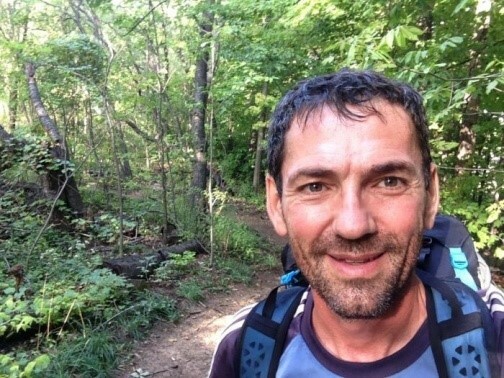 David Gutscher is a Canadian writer and adventurist. 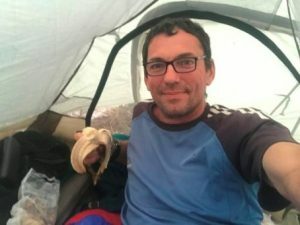 He started walking across Canada beginning in Halifax, Nova Scotia on April 21, 2017. His final destination: Vancouver. His first few days proved to be very revealing about the Canadian spirit. He is keeping a diary and sharing it with fans of his quest, this writer among them. 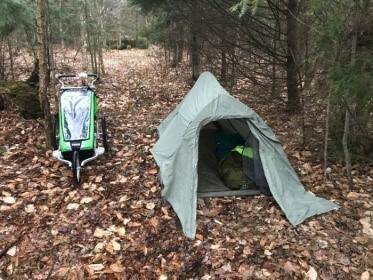 His “stroller” is his gear transport, equipped with the tent he sleeps in, basic camping gear, soothing agents for the blisters and plenty of shoes. His quest is his way of celebrating life and Canada during its 150th year. He has one steady companion: Al, the bobble head. Over the last couple of months he has met Canadians of all types, from the people to the porcupines. 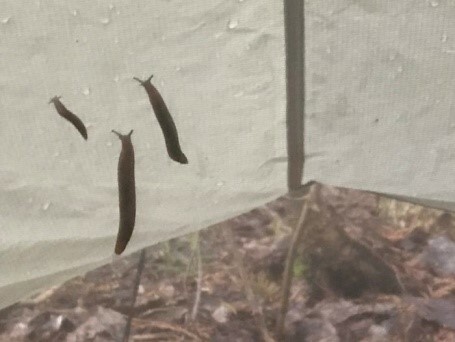 And how did he come to this quest? He retired. Fun, yes, but it is not an easy challenge. His legs and feet get sore, mosquitoes are relentless, and the weather is unpredictable. But people along the way take him in, feed him and sooth his pain, sending him off the way they welcome him, with encouragement and inspiration. 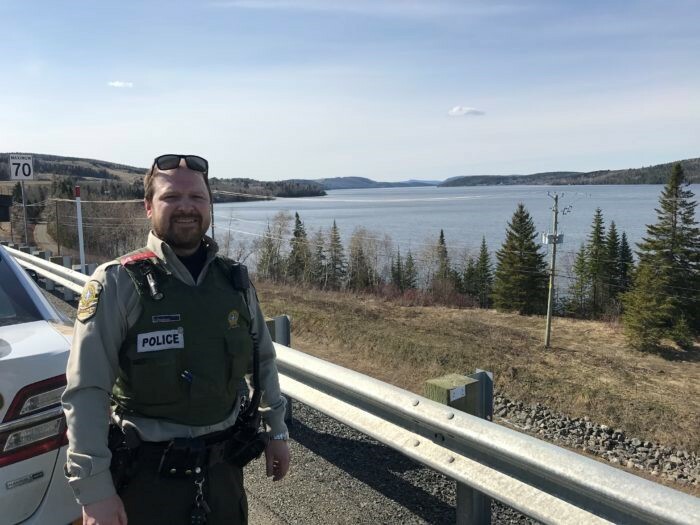 People like Richard in Edmunston, New Brunswick and a constable with the Quebec provincial police who was concerned for his safety and escorted him part of the way. Dave, the storyteller, enjoys the storytellers he has the privilege to spend time with. It is an unstoppable conversation as people itch to share their stories with him. Dave listens intently to Canadians talk about job security and the current Canadian situation in a volatile world. He hears the good, the bad, the hopes, the dreams, the criticisms and the cheers: a perfect series of snapshots he gathers on his cross-Canada epic journey. He feels honoured by the people he meets. Two weeks in, he had travelled 770 kilometers, trying to maintain an average of around 40 kilometres a day. 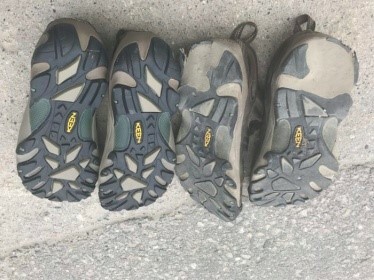 He compared his trek to the kind of hike people undertake in the Appalachians. 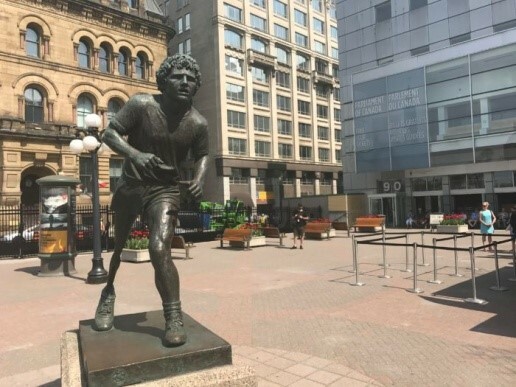 It is poetic, perhaps, that by the time Dave hit the one month mark, he was standing in front of the statue of a young man in Ottawa who had inspired a nation — Terry Fox. 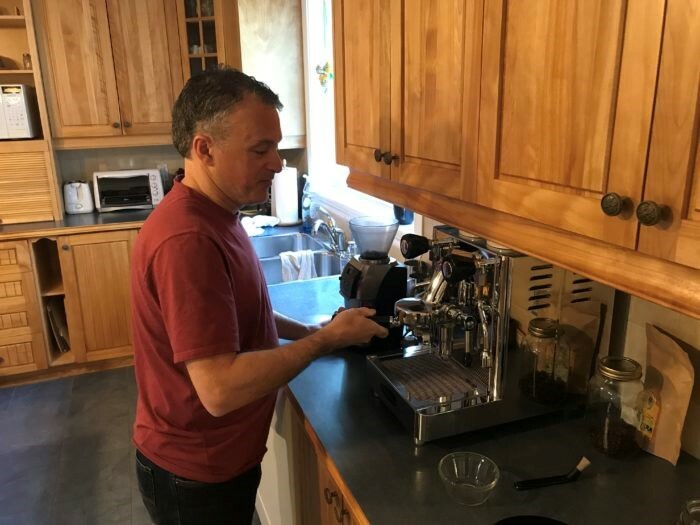 At this writing, it is day 54, almost 2 months since Dave left Halifax. It is, once again, a poetic and very Canadian moment when Dave encounters Larry, a cyclist making his way from Victoria to St. John’s. Larry is also retired and this journey has always been his dream. Canada’s 150th was the perfect opportunity to make good on his goal. 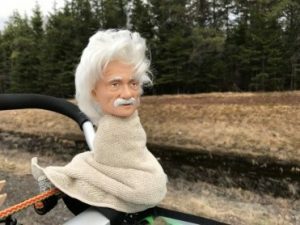 So this story leaves Dave on Highway 17 as he approaches Manitoba. He has walked over 3,000 kilometres and now averages 58 kilometres a day. I will let his words serve to bring close this chapter of his amazing adventure. Another milestone, indeed. By the way, if you would like to follow in his footsteps, then go to his website and subscribe to his ongoing diary. Travel safe, Dave.